You are here: Home / Mens Health / Does Aspirin Hold any Promise Towards Prostate Cancer Treatment? Aspirin (acetylsalicylic acid) is a relatively inexpensive over-the-counter drug that is commonly used to relieve pain, reduce fever and inflammation. Aspirin also has an additional function as an anticoagulant which works by thinning the blood and minimizing the risk of clot formation. So aside from its more conventional uses for treating aches and pains, aspirin has also been found to prevent heart attacks and strokes. What’s even more intriguing are that various studies in the course of the last several years have suggested that taking aspirin regularly could significantly reduce the risk of a man from either developing or dying from prostate cancer. There are however conflicting opinions as to the validity of aspirin being utilized as a preventative treatment for prostate cancer. Different studies have yielded different results and many research efforts haven’t been able to show the correlation between aspirin and whether it can actually reduce the development of or decrease the mortality rate of prostate cancer cancer. One example was a study conducted in 2011 and led by Dr. Peter Rothwell of of the University of Oxford. In the study eight randomized clinical trials were analyzed and compared to distinguish the risk of death from cancer among participants. 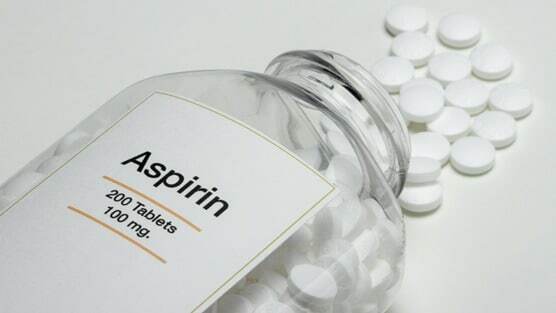 One group took aspirin regularly over the course of 4 years while the other test group did not. Among those who took aspirin daily it was found that their risk from dying from dying of cancer was lowered by at least 20 percent. While the results are promising it’s still unclear whether aspirin actually helps in reducing the incidences of cancer and deaths related to cancer. Thankfully there are a number of clinical trials currently underway to help provide those definitive answers. It is believed by many researchers that aspirin essentially works by blocking the activity of both COX-1 and COX-2 enzymes, which are essential to the human body’s inflammatory response. Inflammation is a normal response when tissue has been injured or exposed to infection. Inflammation allows for the injured tissue to heal and for an infection to clear. With chronic inflammation however the process does not end as it normally would and this continued inflammation can potentially cause DNA mutations in cells which could then promote the growth and development of prostate cancer. Clearly given the mixed results and opinions amongst researchers additional study is necessary before science can provide a more conclusive answer. As with many medications there are many benefits in addition to the inherent risks and side effects that come with their use. Before you consider using aspirin regularly to prevent or treat your prostate cancer please consult your doctor first.